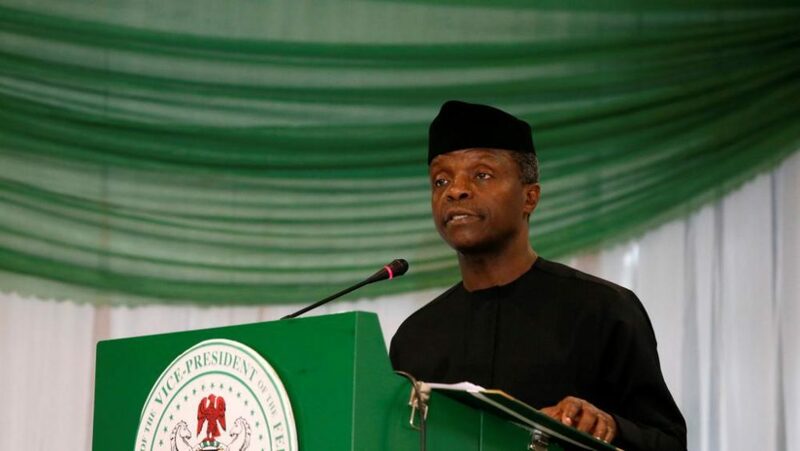 The Vice President, Prof. Yemi Osinbajo, has maintained that Nigeriaâ€™s problem was finding upright men in positions of authority. Osinbajo stated this while dismissing the popular belief that the problem with Nigeria was ethnicity and tribalism. Speaking on Friday in Enugu during a book presentation by former governor of the State, Mr Sullivan Chime, Osinbajo stressed that the belief that Nigeriaâ€™s problem was ethnic and religious base was wrong and misplaced. Osinbanjo described Chime as a man with strong values who made the desired change in the state during his time as governor. The Vice President urged political office holders to discharge their responsibilities with good conscience and responsibility. He stated that Nigeria would be a better place if politicians think of what the future would hold for their people rather than how to win their next election. â€œAt the end of the day, integrity pays and I congratulate Chime for the successes he recorded during his time as governor,â€ Osinbanjo said. What's the way forward now?